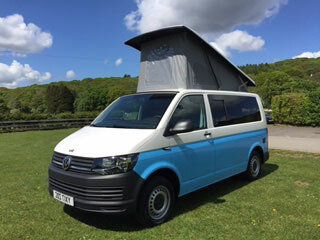 T6 VW Campers 2017 & 2016 - Sky, Victor, Betty & Liberty, California style for hire (see above). 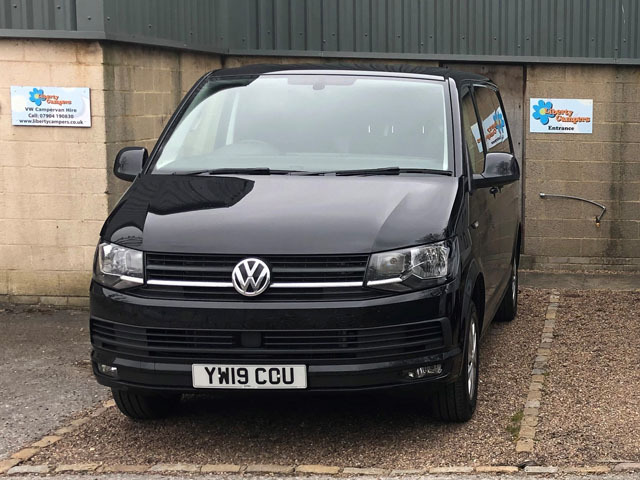 2019 Motorhome Autosleeper Nuevo EK (see above) weekly hire only. 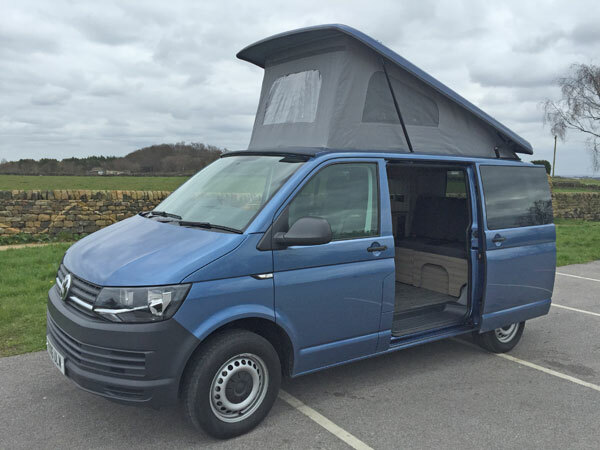 These modern campers & motorhome are comfortable for the longer journeys. Lake District (Kendal, Keswick, Windermere, Ambleside). Northumberland (Alnwick, Bamburgh, Haltwhistle, Holy Island, Craster, Sea Houses, Berwick-upon-Tweed). Scotland, there are many places to visit, here are just a few pointers (Stirling, Falkirk, Fort William, Inverness, Aviemore, Aberdeen, St Andrews). 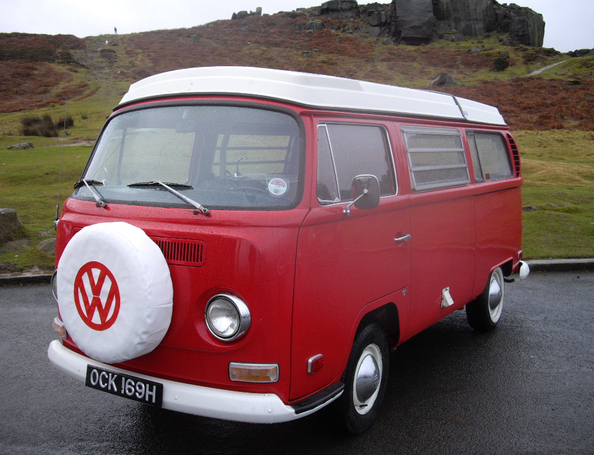 Classic retro T2 Bay Window experience we have Percy, Brian & Poppy (see below). 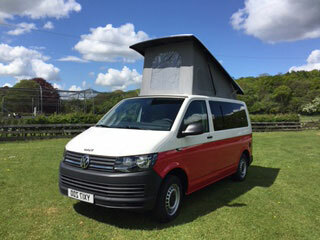 The retros are for local Dales use only, see our recommended campsites in Grassington, Settle, Ripon, Skipton, Masham, York, Robin Hoods Bay, Pickering, Whitby, Scarborough, Filey. 2x chauffeur driven vintage split screen wedding hire campervans Dylan & Dolly (see below) which can chauffeur up to 6 passengers each. These campers are useful to chauffeur the larger wedding party with several trips, contact us for a free quote.